There are several groups and a number of individuals in the parish that contribute to Outreach efforts in the community. Below are some highlighted areas of outreach at Trinity Church. Trinity's largest community outreach ministry, benefiting two charities each year. View the Claws for a Cause page here. Bi-monthly meal prep, and regular service and delivery at the Natchez Stewpot Ministry. Find out more about the Natchez Stewpot ministry here. Santa's for Seniors is a ministry of Trinity Church that provides gifts during the Christmas season to dozens of nursing home-bound seniors. We also sponsor monthly birthday celebrations on the last Friday of each month which provides a wonderful opportunity for parishioners to befriend a local senior. 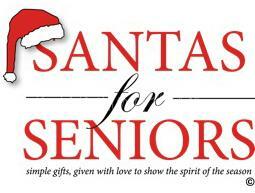 This year's Christmas party will be held at Adams County Nursing Home Friday, Dec. 22, at 2:30 pm. Volunteers are needed. All monetary donations and gifts need to be turned in to myself or delivered to Trinity Church no later than Sunday, Dec. 17th. If needed, arrangements can be made for pick up. Refuel yourself by becoming a Santa this holiday season. Doing so not only allows you an opportunity to provide gifts for a Senior in need, but possibly initiate a much-needed, lasting friendship. Assistance to local charities and families and individuals in need. Please contact Melinda Ballard, Outreach Facilitator, about outreach information and opportunities here.